A phenomenon that has transformed my life in recent years is the ready availability of audiobooks and podcasts. When I’m shaving, driving, or walking the dog, I’m usually also reading a book, learning something new, keeping up with technology news, or sometimes just being entertained. My iPhone/iPods are used for speech much more than for music, and my bluetooth headset and car hands-free kit are seldom used for actual phone calls! Travelling time, in particular, I no longer think of as ‘wasted time’. On the audiobook front, the only way to do this is to subscribe to Audible.co.uk (or your country’s variant). Audiobooks can be fairly pricey if you buy them individually — longer ones, in particular, can run to £20–40 — but an £8 monthly subscription will get you a book each month. I ‘read’ many more books now while walking across fields than I used to get through by turning a page or two in the last few minutes before I fell asleep. I use the Audible iPhone app for downloading and listening to them. For podcasts, my first recommendation is not to try and listen to them using iTunes or Apple’s Podcast apps. Far better is to get a third-party app designed for the purpose, (unless you have an old-style iPod which can only be managed in iTunes). My current favourite is Downcast, which will do things like keep your current listening progress in sync across multiple devices, and let you skip backwards and forwards (e.g. to jump advertisments) using easy swipe gestures. Instacast is also a worthy contender. Anyway, the main reason for this post was to recommend two podcasts that I’ve found consistently interesting and of high quality. 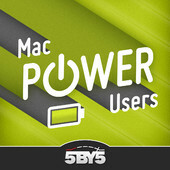 The first is Mac Power Users. Now, you might assume from the title that this weekly programme is all about obscure command-line incantations and developer toolkits, but on the contrary, it’s for normal humans, by normal humans; David and Katie are practising lawyers who just have an interest in getting the most out of their technology, and talking to other guests about how they do the same. And while most of it is definitely for Mac users, some episodes, like this excellent discussions with Fraser Speirs about technology in education, are of more general interest. Sometimes they’ll dive deep into a favourite utility, like Hazel, or a topic, like ‘Geek Fitness’. And at other times, such as when interviewing Alex Lindsay, they end up talking more about efficient ways to get through airport security than about the Apple gear they’re carrying! Unlike many of the podcasts I subscribe to, this one is not primarily about technology news, and I like David and Katie’s relaxed but professional approach. 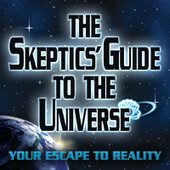 The Skeptics’ Guide to the Universe, known as ‘SGU’ to its numerous fans, is a discussion of recent and historical science news hosted by some very smart people — Steven Novella, for example, is a neurologist at Yale — who try to separate fact from fiction. They do a lot of background research on stuff that has recently made media headlines, and present the results in an interesting and entertaining way. Recommended if you want to keep your head when all around you are losing theirs. Both of these should be easy to find using your podcatcher of choice – just search for the names.